My friend Honeygo Beasley sent me this recipe, so of course I had to try it out! 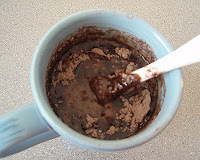 The only equipment you need is a large mug (volume ~400 ml capacity), a Tablespoon measure, and something to stir with (I used a plastic mini spatula). 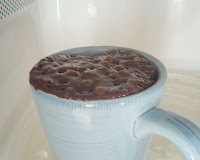 Put your mug in the microwave and cook for 3 minutes at 1000 watts (a bit shorter if you have a more powerful oven). The cake will rise over the top of the mug, but don't be alarmed. 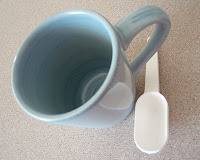 Be warned, the mug will be very hot, use a pot mitt! 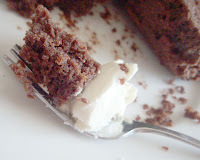 Allow to cool a little, and tip out onto a plate if desired - you may need to loosen the cake with a thin knife or spatula. My verdict - I think I cooked it 10-15 seconds too long, as it was a bit dry - I prefer to aim for a moist puddingy texture. 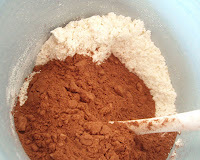 I'll experiment with additions to the mixture in future attempts, too, a teaspoon of jam would make it moister. But all in all - yes, it was super fast and definitely yummy, with potential to be even yummier! I've finally finished the Activity Mania book! So apart from needing to cast my eye over the final pages as they come in (illustrated and laid out by their designers), and write some of my regular crosswords in advance, I'm on holidays! Hurrah! And for my first week? Cleaning the house and tidying the garden because the owners of our (rented) house will be in town next Friday and want to 'have a look over the place' because they haven't seen it for 2 years. They have reassured us that this is not preliminary to selling, though, which is a relief. But still - an unofficial house inspection - sigh. Okay, off you go and bake your own little chocolate cake! Let me know how it turns out! I keep reading this recipe and closing my eyes and singing "la la la". I don't need to be 5 minutes from chocolate cake, la la la. Oh by the way, have you ever done a cake mix in a waffle iron? Nom nom nom! Oh man. Here I am thinking "I won't eat anything sweet until this afternoon's tea party, and there you go, posting a 5 minute chocolate cake recipe!! Well done on finishing your book! Well done on finishing the book, Happy Holidays!! 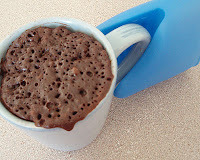 I can't have chocolate but I made this, and you are right, the eaters said it was good a little under cooked and was kind of like chocolate self saucing pudding!! Good luck with the tidying. i've seen this email go around so many times and have never made it. But I think the time is coming when I will, especially with your excellent mods to follow! Hooray for being on holidays! As soon as you're free, come for sushi one lunch time! Bravo, bravo for such success with your deadlines and for getting ANOTHER book out! I admire you SOO much! Yes, My husband and I are planning on coming to Oz in April of 2010. And Canberra is very definitely on our list of places to visit. So far, we have Canberra, Sydney and Kangaroo Island. We've been to Uluru (Ayers Rock) and Cairns and done the touristy things there already. Any suggestions on must-do, must see in Canberra? sorry . . . must hurry off . . . do I have any eggs? . . . Srsly, it sounds yummy, Jejune. Time to try it! 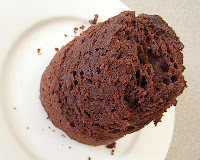 Chocolate cake fun - thanks for the review and tips. I never have any flour in the house for some reason (I am a terrible baker) but if I ever do, this is a good way to use leftover flour, I guess. I like suggestion of adding some jam to it. Or applesauce? Enjoy your time off and congrats on all your accomplishments - it's nice to be "done" with things for a while. Good luck with the inspection! I think that this post should be counted as this year's most dangerous blog post. Hooray. Hoorah. Hooroi. For book. For puppies. For cake. Well done you.